For a century and a half, the idea of secession has been systematically demonized among the American public. The government schools spin fairy tales about the “indivisible Union” and the wise statesmen who fought to preserve it. Decentralization is portrayed as unsophisticated and backward, while nationalism and centralization are made to seem progressive and inevitable. When a smaller political unit wishes to withdraw from a larger one, its motives must be disreputable and base, while the motivations of the central power seeking to keep that unit in an arrangement it does not want are portrayed as selfless and patriotic, if they are considered at all. As usual, disinformation campaigns are meant to make potentially liberating ideas appear toxic and dangerous, conveying the message that anyone who seeks acceptance and popularity ought to steer clear of whatever it is – in this case, secession – the regime has condemned. 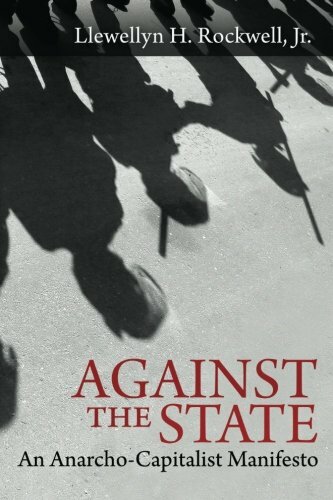 But when we set the propaganda aside, we discover that support for secession means simply this: it is morally illegitimate to employ state violence against individuals who choose to group themselves differently from how the existing regime chooses to group them. They prefer to live under a different jurisdiction. Libertarians consider it unacceptable to aggress against them for this. 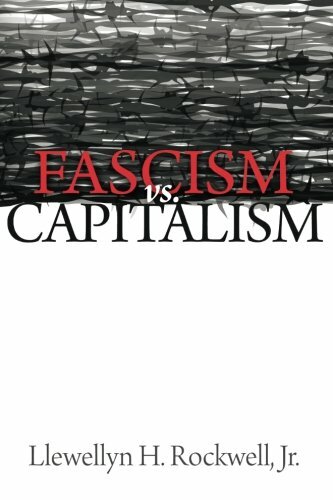 The libertarian principle of secession is not exactly embraced with enthusiasm by the people and institutions I call “regime libertarians.” Although these people tend to be located in and around the Beltway, regime Against the State: An ... Llewellyn H. Rockwell Jr. Best Price: $5.00 Buy New $9.30 (as of 10:25 EDT - Details) libertarianism transcends geographical location, which is why I coined this special term to describe it. The regime libertarian believes in the market economy, more or less. But talk about the Federal Reserve or Austrian business cycle theory and he gets fidgety. His magazine or institute would rather invite Janet Yellen for an exclusive cocktail event than Ron Paul for a lecture. The regime libertarian loves the idea of reform – whether it’s the Fed, the tax code, government schools, whatever. He flees from the idea of abolition. Why, that just isn’t respectable! He spends his time advocating this or that “tax reform” effort, instead of simply pushing for a lowering or repeal of existing taxes. It’s too tough to be a libertarian when it comes to antidiscrimination law, given how much flak he’s liable to get, so he’ll side with left-liberals on that, even though it’s completely incompatible with his stated principles. He is antiwar – sometimes, but certainly not as a general principle. He can be counted on to support the wars that have practically defined the American regime, and which remain popular among the general public. He sups in happy concord with supporters of the most egregiously unjust wars, but his blood boils in moral outrage at someone who told an off-color joke 25 years ago. Mention secession, and the subject immediately turns to the southern Confederacy, whose moral enormities the regime libertarian proceeds to denounce, insinuating that supporters of secession must be turning a blind eye to those enormities. But every libertarian worthy of the name opposes any government’s support for slavery, centralization, nationalism, inflation, conscription, taxation, or the suppression of speech and press. That goes without saying. We shouldn’t be surprised by this kind of charge, though. Accusing libertarians of sympathy for slavery because they oppose wars of centralization is the intellectual cousin of the regime’s familiar claim that opponents of the war in Iraq must have supported Saddam Hussein, or that opponents of US intervention in World War I were just apologists for the Kaiser. We expect juvenile nonsense like this from neoconservatives and from the regime itself. When it emerges from the pens of alleged libertarians, it says far more about them and their own allegiances than it does about us. The classical liberal, or libertarian, tradition of support for secession can boast such luminaries as Alexis de Tocqueville, Richard Cobden, and Lord Acton, among many others. I’d like to add two more figures: in the 19th century, Lysander Spooner, and in the 20th, Frank Chodorov. 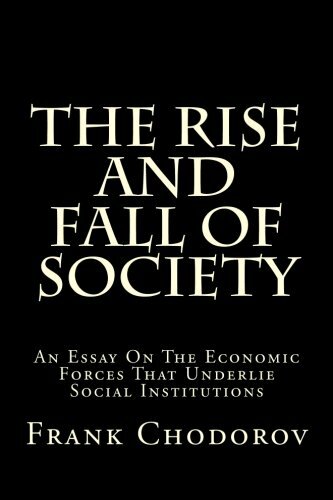 Spooner presents a real problem for the regime libertarians. Every libertarian acknowledges the greatness and importance of Spooner. The trouble is, he was an avowed secessionist. 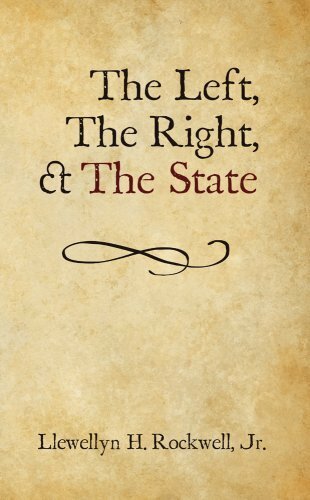 The Left, the Right, a... Llewellyn H. Rockwell Jr. Check Amazon for Pricing. Lysander Spooner was born in Massachusetts in 1808, and would go on to become a lawyer, an entrepreneur, and a political theorist. He believed that true justice was not so much a matter of compliance with man-made law, but a refusal to engage in aggression against peaceful individuals. His American Letter Mail Company competed successfully against the US Post Office, offering better service at lower prices, until the government forced him out of business in 1851. His work No Treason, a collection of three essays, took the position that the Constitution, not having been agreed to by any living person and only ever expressly consented to by a small handful, cannot be binding on anyone. What mattered, according to Spooner, was not the inscrutable “intention” behind this or that word or passage, but rather the plain meaning of the word or passage itself. Furthermore, given that human liberty was a mandate of the natural law, any time constitutional language might appear to run contrary to the principle of liberty, we ought to prefer some other meaning of the words in question, even if we have to strain a bit to do so, and even if Speaking of Liberty Llewellyn H. Rockwell Jr. Best Price: $1.80 Buy New $2.48 (as of 08:35 EDT - Details) the anti-liberty interpretation is the more natural reading. 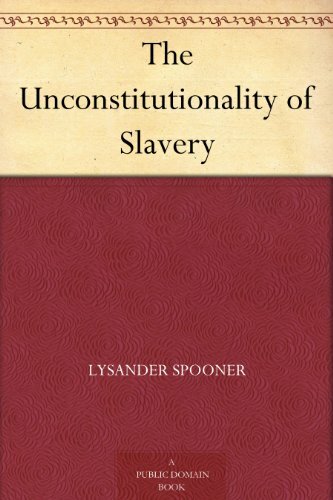 Thus Spooner could claim, contrary to the majority of abolitionists, that the Constitution was in fact an anti-slavery document, and that its oblique and fleeting references to slavery – a word never used in the Constitution – did not have to carry the meanings commonly attributed to them. Frederick Douglass, the celebrated former slave turned abolitionist writer and speaker, adopted Spooner’s approach in his own work. That the Slaves have a natural right to their liberty. That they have a natural right to compensation (so far as the property of the Slaveholders and their abettors can compensate them) for the wrongs they have suffered. That so long as the governments, under which they live, refuse to give them liberty or compensation, they have the right to take it by stratagem or force. That it is the duty of all, who can, to assist them in such an enterprise. Ludwig von Mises gave succinct expression to the libertarian view of secession when he said, “No people and no part of a people shall be held against its will in a political association that it does not want.” Simple. 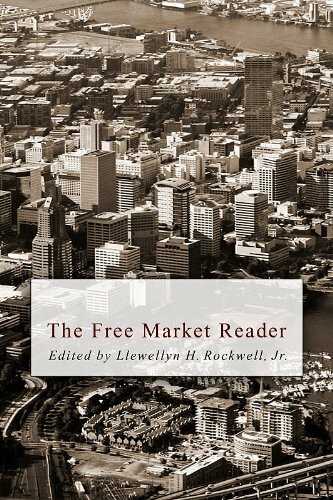 Spooner continued: The Free Market Reader... Ludwig von Mises, Will... Check Amazon for Pricing. No principle, that is possible to be named, can be more self-evidently false than this; or more self-evidently fatal to all political freedom. Yet it triumphed in the field, and is now assumed to be established. If it really be established, the number of slaves, instead of having been diminished by the war, has been greatly increased; for a man, thus subjected to a government that he does not want, is a slave. And there is no difference, in principle – but only in degree – between political and chattel slavery. The former, no less than the latter, denies a man’s ownership of himself and the products of his labor; and asserts that other men may own him, and dispose of him and his property, for their uses, and at their pleasure. Spooner was withering on the Lincoln regime and the northern mythology of the war and its allegedly noble origins. These were all “gross, shameless, transparent cheats – so transparent that they ought to deceive no one,” he said. By the logic of the regime libertarian, Spooner was a “neo-Confederate” defender of slavery – after all, he asserted the southern states’ right to withdraw from the Union! What other motivation could he have? But this is too preposterous even for them. Spooner was correct about all of this, needless to say. The war was in fact launched not to free the slaves, as any historian must concede, but for purposes of mysticism – why, the sacred “Union” must be preserved! 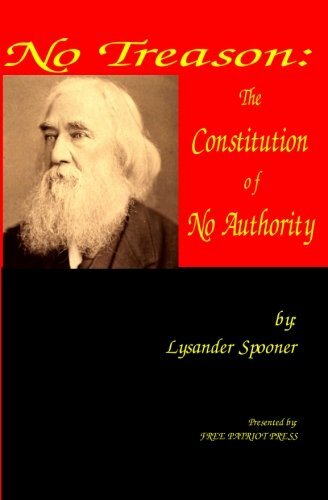 – and on No Treason: The Consti... Lysander Spooner Best Price: $6.35 Buy New $6.40 (as of 12:25 EDT - Details) behalf of economic interests. The regime libertarian expects us to believe that the analysis we apply to all other wars, in which we look beneath the official rationales to the true motivations, does not apply to this single, glorious exception to the catalogue of crimes that constitute the story of mankind’s experiences with military aggression. Let’s turn now to the second libertarian figure I’ve chosen to discuss today. 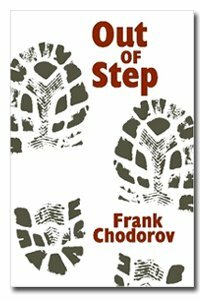 Frank Chodorov was one of the great writers of the Old Right. 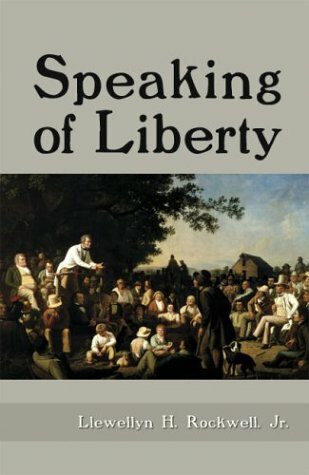 Liberty Fund published a collection of his writings, Fugitive Essays. 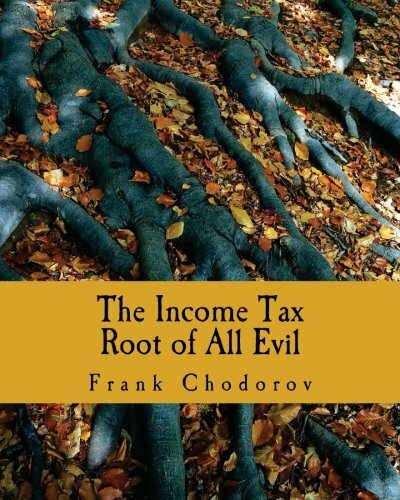 The Mises Institute has brought four of his books back into print: Out of Step, Rise and Fall of Society, One Is a Crowd, and Income Tax: Root of All Evil. 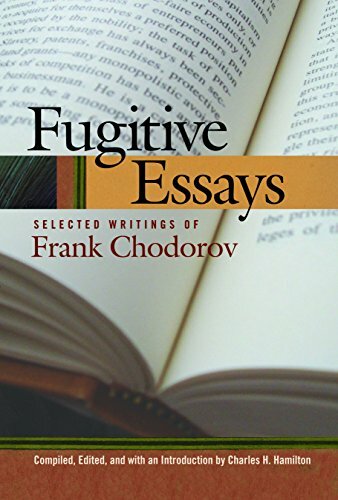 Chodorov founded what was then called the Intercollegiate Society of Individualists, and served as an editor of Human Events, where the early presence of Felix Morley ensured that noninterventionist voices, at least at the beginning, would get a hearing. 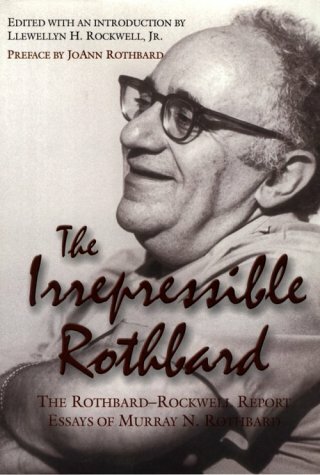 Murray N. Rothbard considered Chodorov’s monthly publication analysis to be one of the greatest independent publications in American history. 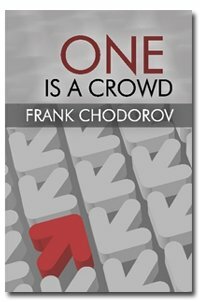 Chodorov made the same observation: The Unconstitutionalit... Lysander Spooner Check Amazon for Pricing. This talk was delivered at the Mises Circle in Houston, Texas, on January 24, 2015. What If Stores Are Empty and Prepping Illegal?